Australia took a 1-0 series lead at the WACA on Friday but it may yet prove to be a pyrrhic victory, given the recurrence of captain Michael Clarke's hamstring injury. Clarke was due to have scans in Perth on Saturday to assess the extent of the problem, but it seemed unlikely he would appear again in the one-day series. So, as has often been the case over the past couple of years, it will be up to George Bailey to lead the Australians in Clarke's absence. Already Bailey has skippered Australia in 20 one-day internationals, comfortably the most of any player who was not Australia's permanent leader. Never has a vice-captain been more captain than vice. Unfortunately for the South Africans, in a strange way the situation might actually strengthen Australia, by creating room for the in-form Steven Smith to slot into the side. South Africa, meanwhile, will have to find a way to turn around their fortunes at the same venue just two days later. Problematically, their batsmen struggled early against the speed of Mitchell Johnson, but AB de Villiers and David Miller showed that the Australians can be worn down if a partnership develops. But perhaps the most significant area in which South Africa must improve is their fielding. They dropped Bailey four times on Friday and also missed a run-out, while the Australians held their chances and managed a direct hit to remove de Villiers. If South Africa take their chances in the field - and plenty will be created by Dale Steyn, Vernon Philander, Morne Morkel and Imran Tahir - there is every possibility the teams could leave Perth with the series locked at 1-1. Before Friday's game, commentator Mark Taylor said that Steven Smith was unlucky not to have been selected given his recent ODI form, and he would have picked him ahead of George Bailey. 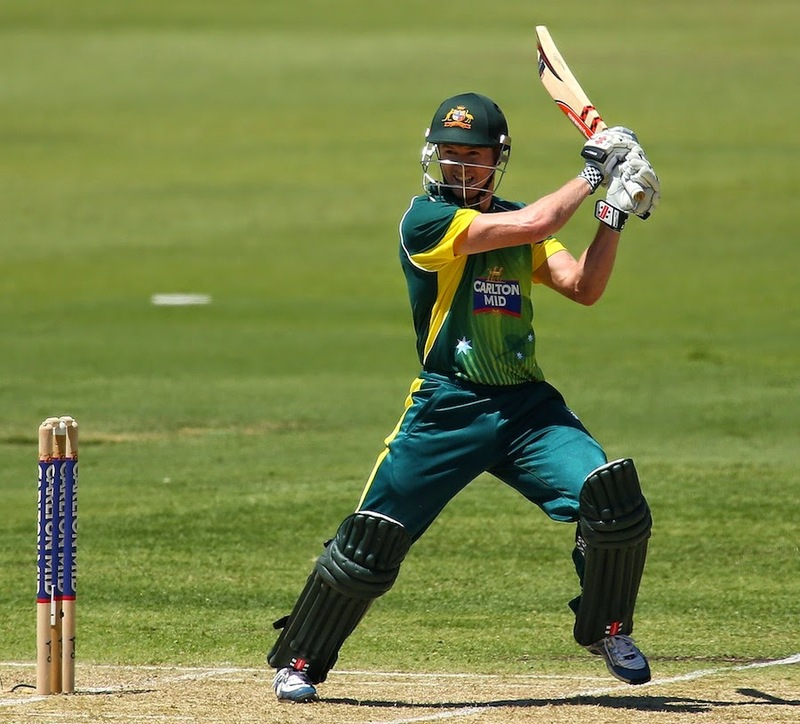 Despite his chances, Bailey showed in Australia's innings why he is such a valuable player, slowly rebuilding from a shaky position before launching some muscular sixes later on and reaching 70. Named in the ICC's ODI Team of the Year on Friday, Bailey is the fourth-ranked ODI batsman in the world, and will have the responsibility of captaining Australia with Clarke injured. Despite often being under-estimated, he remains one of this team's most important players. While the focus was all on Dale Steyn in the lead-up to this series, it was Vernon Philander who caused Australia's batsmen the most problems in the first match. Philander's natural length is full enough to be effective at the WACA, where visiting fast bowlers can become over-excited by the pace and bounce and can fall into the trap of bowling too short. Philander's ability to move the ball makes him even more of a threat, as his 4 for 45 on Friday proved. The recurrence of Michael Clarke's hamstring injury almost certainly means a straight swap for Steven Smith. The selectors have decided against adding an extra player to the squad, and Kane Richardson again seems the likely candidate to miss out. Johnson will probably be rested from the remainder of the series after the teams leave Perth, to help him prepare for the upcoming Tests against India, but he is expected to play on Sunday. Australia (possible) 1 Aaron Finch, 2 David Warner, 3 Shane Watson, 4 Steven Smith, 5 George Bailey (capt), 6 Mitchell Marsh, 7 Glenn Maxwell, 8 Matthew Wade (wk), 9 Mitchell Johnson, 10 Nathan Coulter-Nile, 11 Josh Hazlewood. Ryan McLaren had a poor match with both bat and ball on Friday and South Africa could consider bringing in Wayne Parnell. South Africa (possible) 1 Hashim Amla, 2 Quinton de Kock (wk), 3 Faf du Plessis, 4 AB de Villiers (capt), 5 Farhaan Behardien, 6 David Miller, 7 Ryan McLaren/Wayne Parnell, 8 Vernon Philander, 9 Dale Steyn, 10 Morne Morkel, 11 Imran Tahir. The first ODI showed that there was plenty of pace and bounce in the WACA pitch, and some seam movement was also available. The forecast for Sunday is for a partly cloudy day and a top of 29C. "It's unfortunate for Michael to have this injury. But George has been captain for the Australian team in a few of the formats and has done very well in the one-day stuff. He quite enjoys it and we back him 100%."